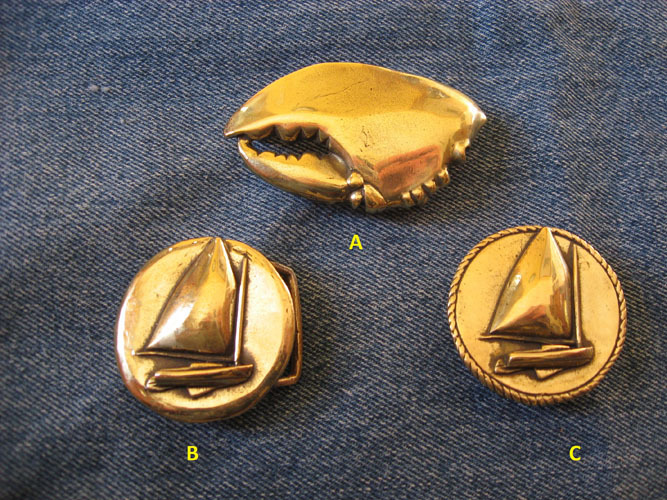 These three brass buckles were part of the large buckle selection we carried in our now retired Main Street shop. At the time we owned the molds and had the buckles cast in Rhode Island. We finished and polished them in our shop. The three castings seen here arrived with the hooks missing from the back. They got tossed aside lingering in the salvage bin for several years. A visiting friend and craftsman who is quite good with a torch saw them and offered to attach the proper hooks. We traded a new belt for the work. The new hooks are actually stronger than the originals would have been. *B was an experiment in that we ground off the rope border for a more simple design. Otherwise, B and C are the same buckle. PLEASE NOTE - we do not have stock. 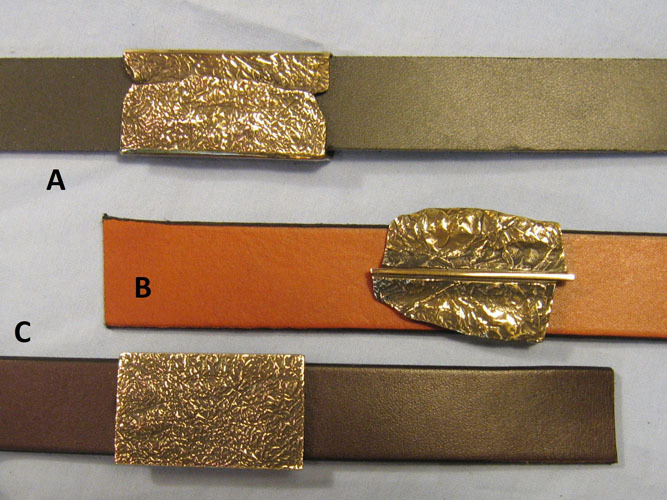 There is only one of each of the above pictured buckles. We will post "SOLD" as each sells. The photo below shows three lost wax cast brass buckles found down behind stuff in the back room. All three are for narrow belts.